Frank Elder was the son of Robert Alexander Elder and Ellen Stuart White of Jeruk. 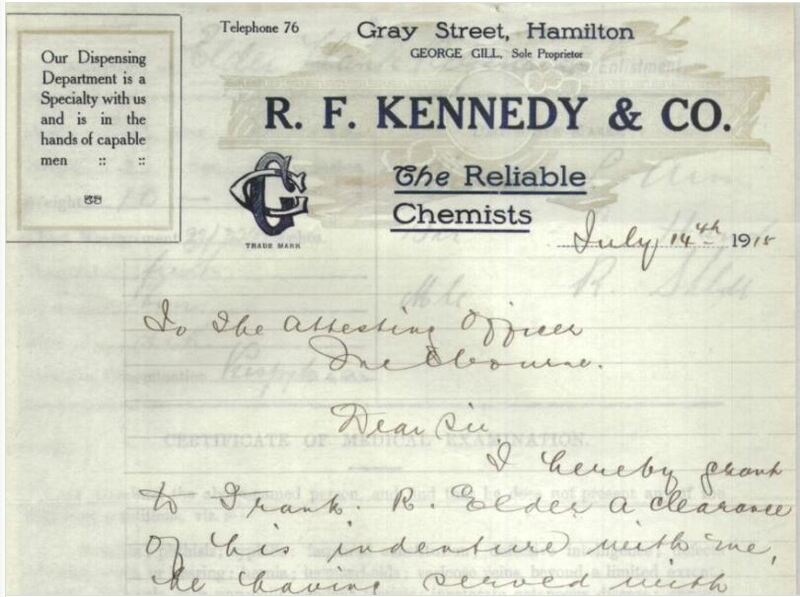 Frank moved to Hamilton to train with his cousin, chemist George Gill, proprietor of R.F.Kennedy & Co. of Gray Street. Frank did six months training with Mr Gill who wrote a clearance for Frank when he enlisted on 5 July 1915. During his time in Hamilton, Frank was a sergeant in the Citizen Forces. 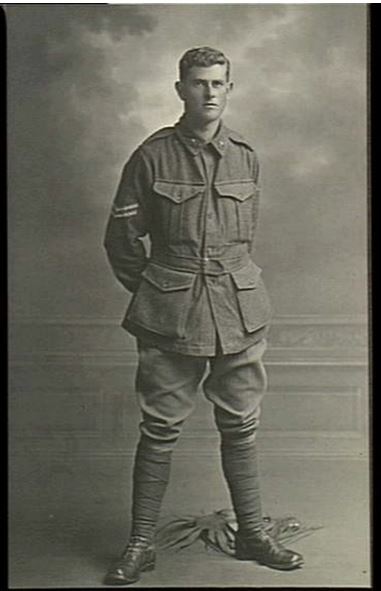 During his five months of training at Broadmeadows, after enlistment, Frank was an acting corporal. He departed Australia with the 7th Battalion on 28 January 1916. The 7th Battalion arrived in Egypt 28 February 1916 for training before moving on to France on 4 April. On 2 May, Frank was admitted to hospital with mumps and discharged on 25 May. He rejoined his unit on 1 June. During July and August, the 7th Battalion fought at the Battle of Pozieres. It was the 20 August and Frank’s company were near the village of Pozieres. Witnesses said a shell killed Frank and they buried him in the Pozieres Cemetery on the main road. However, with the ongoing fighting in the area, graves in the cemetery were destroyed and Frank’s remains were never found. Instead, he was remembered among the missing on the Villiers-Brettoneux Memorial. At home, Frank’s father Robert went through the usual administrative duties brought about by the death of his son. One topic of his letters to the Defence Department was the return of Frank’s camera. Robert had heard that Frank had left it in Egypt at the time of his departure to France. Despite several letters backwards and forwards, it seems the camera was never located. Frank Elder is remembered on the Hamilton War Memorial.